DoggieDashboard's appointment calendar is definitely one of the most used features to date. Over 50,000 appointments are currently saved by over 3,000 pet-service businesses. You can save 5+ types of appointments, ranging from daycare and boarding, to training and evaluations. The calendar makes it incredibly easy to see how many and what types of appointments you have each day. 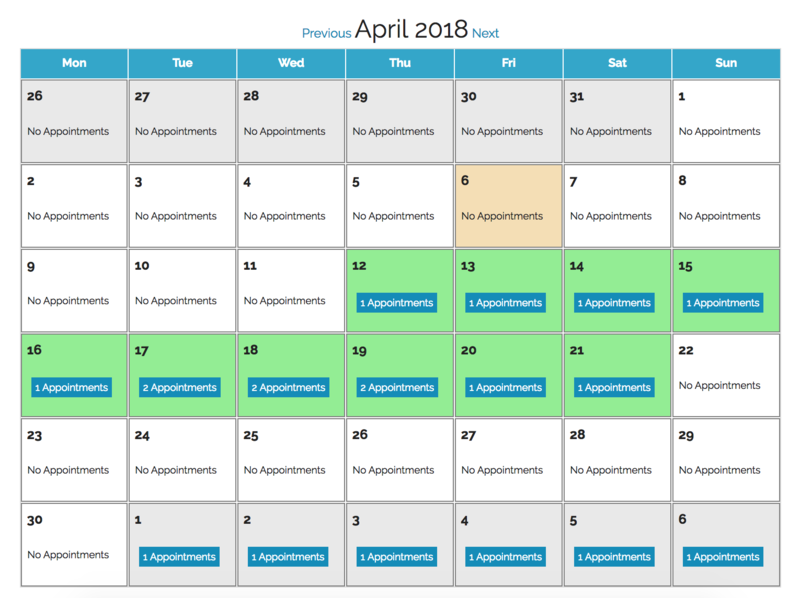 If you want to get a more granular view on a certain, simply click on a specific day of the month and an in-depth listening of that day's appointments is shown.